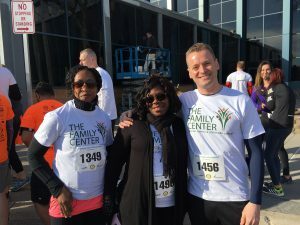 On Sunday, April 9th, Family Center Board members, staff and supporters gathered at JFK Airport in Queens for the JFK Runway Run. 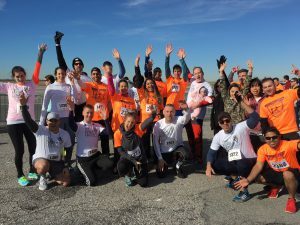 The weather was gorgeous for this 5K Run on a closed airport runway. 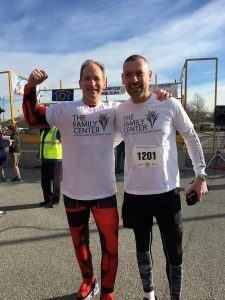 Everyone participating enjoyed themselves, regardless of their finish time -though team TFC did boast the 7th runner to cross the finish line! 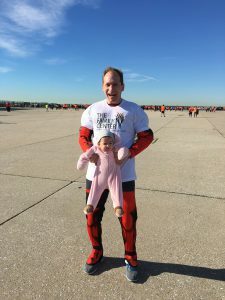 Five years ago, Board Chair Shamoun Afram started The Family Center’s participation in the JFK Runway Run. 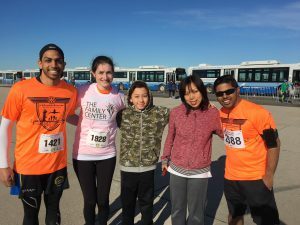 This year, we had six Board members participate on our team of 20+ runners. 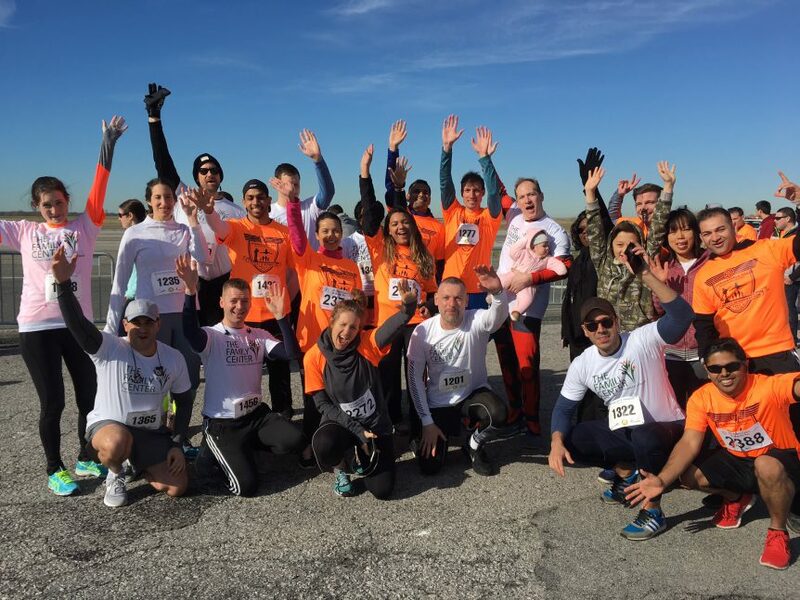 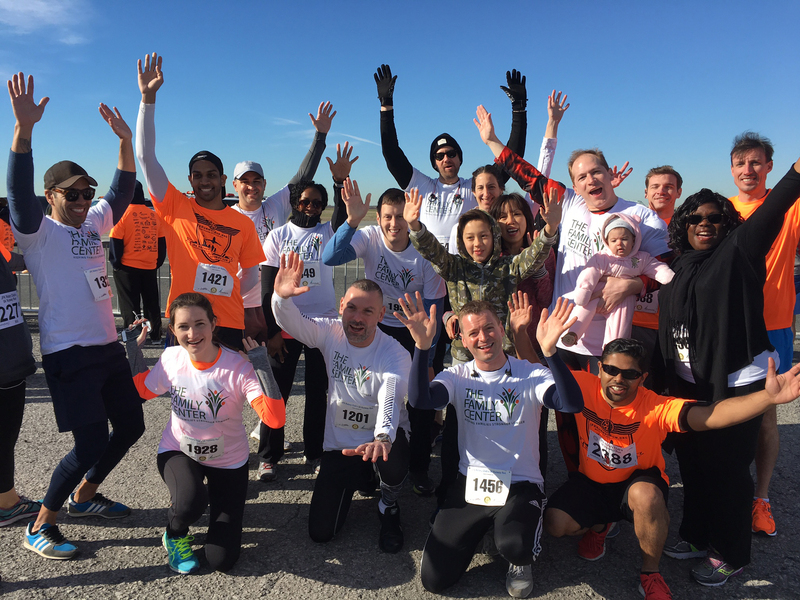 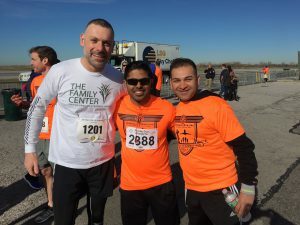 In the five years since The Family Center has begun participating in the JFK Runway Run, Shamoun, our Board members and other supporters have raised over $65,000 to support our mission to strengthen vulnerable NYC families. 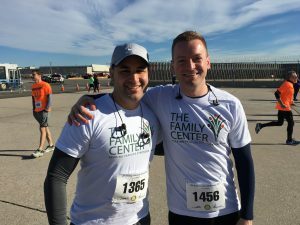 YOU Can Still Donate to TEAM TFC! 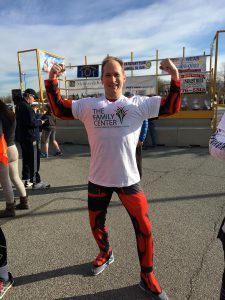 Alex was Team TFC’s resident Superhero for the day! 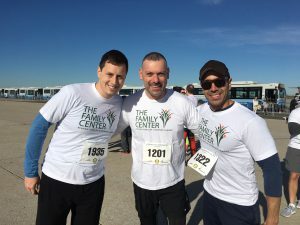 Team TFC just couldn’t stop celebrating!